Bollywood Star Salman Khan Convicted in Poaching Case - Integration Through Media ....! 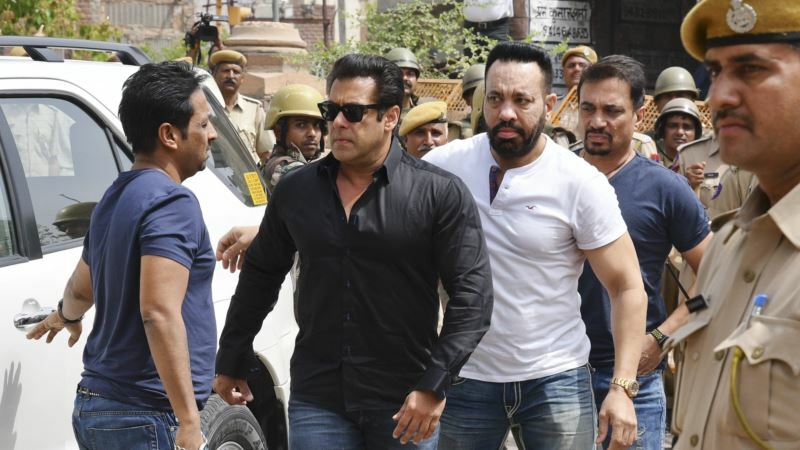 (VOA): Bollywood star Salman Khan was convicted Thursday of poaching rare deer in a wildlife preserve two decades ago and sentenced to five years in prison. The busy actor contends he did not shoot the two blackbuck deer in the western India preserve in 1998 and was acquitted in related cases. He was in court for the ruling in the western city of Jodhpur on Thursday. He is expected to be taken to a local prison while his attorneys appeal the conviction and seek bail, which could take days. Four other stars also accused in the case, Saif Ali Khan, Sonali Bendre, Tabu and Neelam, were acquitted by Chief Judicial Magistrate Dev Kumar Khatri. They were in the jeep that Salman Khan was believed to be driving during the hunt. Tabu and Neelam both use just one name. Khan had been sentenced to prison terms of between one and five years in related cases before being acquitted by appeals courts for lack of evidence. Khan has had other brushes with the law. In 2014, the Mumbai High Court acquitted him in a drunken-driving, hit-and-run case. The judges found that prosecutors had failed to prove charges of culpable homicide, in which they accused Khan of driving while intoxicated in 2002 and running over five men sleeping on a sidewalk, killing one of them.